On Sunday, February 12, I connected up with the Central Ohio Radio Club located in, you guessed it, central Ohio! They have a Tech Net most Sunday evenings at 7:30pm. They asked me to be the featured guest on one of their nets. Some of you might realize this causes a problem since I live in the Cleveland area. Enter the technical side of the hobby and IRLP. IRLP (Internet Radio Linking Project) is a service that connects amateur stations together using Voice over Internet Protocol (VoIP). Different from other ham radio VoIP services, IRLP requires the Internet link be connected to an RF link, usually a repeater or simplex node. Using the LEARA 146.880 repeater in Cleveland (a club which I’m Vice President and a bunch of other stuff) and Internet linking technology, I was able to join their net as if I were local to Columbus. The CORC Tech Net contacted me looking for information on technical resources available in the section. I got the chance to do an introduction about myself – we’ll quickly move past that 😉 Then I talked about how the technical resources fit into the ARRL organizational structure. If you’re new or haven’t looked at it before, at the top are the ARRL Officers: president, first & second vice presidents, COO, etc. The ARRL Board Committees include the Executive Committee, Administration & Finance, Programs & Services, Public Relations, DX, LoTW, etc. Then Divisions, of which there are 15 total, with Director and Vice Director positions. In Ohio, we’re included in the Great Lakes Division. Finally, our section is the Ohio Section where Scott – N8SY is our fearless leader and Section Manager (SM). Below the SM are their appointees who may or may not include (depending on the section): Section Traffic Manager (STM), Section Emergency Coordinator (SEC), Assistant Section Manager (ASM), Official Observer Coordinator (OOC), Technical Coordinator (TC), Affiliated Club Coordinator (ACC), Public Information Coordinator (PIC), State Government Liaison (SGL), Section Youth Coordinator (SYC). If you’re reading this, the people above and below me in this Journal make up this list. I won’t spend too much time here as details can be found on the “About ARRL” page at http://www.arrl.org/about-arrl. As the Technical Coordinator, I’m responsible for the Technical Specialists. The Specialists and I are here to promote technical advances and experimentation in the hobby. We encourage amateurs in the section to share their technical achievements with others in QST, at club meetings, in club newsletters, hamfests, and conventions. We’re available to assist program committees in finding or providing suitable programs for local club meetings, ARRL hamfests, and conventions in the section. When called upon, serve as advisors in RFI issues and work with ARRL officials and appointees for technical advice. The Technical Specialists really make all this happen. In the Ohio Section, there are about 20 qualified and competent Specialists willing to help. They meet the obligation of advancing the radio art bestowed to us by the FCC. The TSes support the Section in two main areas of responsibility: Radio Frequency Interference and technical information. RFI can include harmful interference (interference that seriously degrades, obstructs, or repeatedly interrupts a radiocommunication service) from bad insulators on telephone poles to grow lights and poorly made transformers, RFI direction finding, or assist in locating bozo stations. Technical information is everything else from building antennas, repeaters and controllers, digital, computers, networking, and embedded devices. Antennas (fixed, portable, and mobile). Experts in RFI from powerline and consumer devices. Automotive electronic compatibility (EMC) and interference (EMI). Digital modes (D-STAR, DMR, Fusion, P25, APRS & IGates. HF: MT63, JT65, Olivia, PSK). Computers and networking (VoIP – AllStar link, software engineering, embedded systems – Raspberry Pi, Arduino). Society of Broadcast Engineers (SBE) members knowledgeable in interference problems. This impressive list of qualifications is available to all in the Ohio Section. Looking for help in one of these areas? Feel free to contact myself. 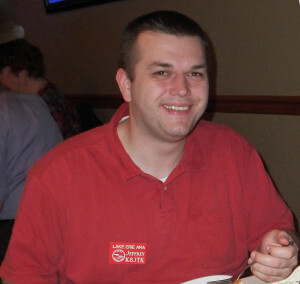 My contact info is near my picture and on the arrl-ohio.org website. I’ll try to assist or get some more information from you and put you in touch with an appropriate Technical Specialist. One of the Specialists might hear a plea for help and reach out to you as well. If you would like to add your talents, check out the description at the ARRL site: http://www.arrl.org/technical-specialist and talk to Scott or myself. Thanks again to CORC (http://corc.us/) for inviting me as the featured guest on their Tech Net and LEARA (http://www.leara.org/) for the use of the IRLP node to make this connection possible.